Here is a list of five bad habits that could save you money each year if you quit. Some of these habits are also bad for your health, but all are bad for your pocketbook. 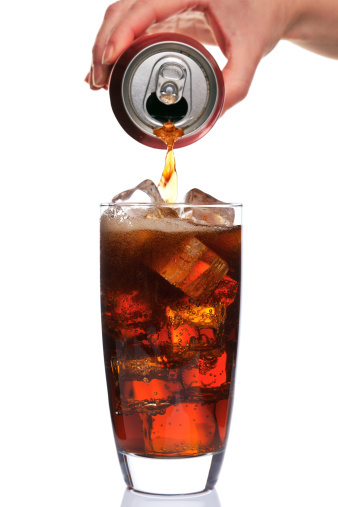 Soft drinks – If you drink one soft drink a day at $1.50 each that is $547.50 a year! If you have three a day, you will have spent $1,642.50. That is a lot of money that could be spent elsewhere. Gossip magazines – Three to five dollars per magazine really adds up when you could simply get your weekly celebrity gossip from online for free! If you have a gossip magazine fix, you could pay up to $208 per year, with each magazine costing $4. Coffee – The average cost of a midsized cappuccino at Starbucks in $3.95. Multiply that by 365 days in the year and you’ve spent $1441.75 for one year in cappuccinos. Smoking – We all know that smoking is bad for your health, but it is also extremely expensive. A pack of cigarettes costs more than a gallon of gasoline! Your annual cost for smoking one pack a day is $1,825 for $5 packs and $3,650 for $10 packs. Speeding – Running late for work, meetings, dinners, etc. and speeding to get there can cost you. Speeding is a sure way to guzzle your gas and also risks the chance of a ticket – not cheap when all you have to do is leave a little early. Also, speeding is not very safe! Here is an idea, ditch the daily gas-station stop for a soda or gossip magazine and instead put back one dollar each day. You will have saved $365 for the year! Put this money towards something you’ve wanted and pay cash instead of charging your credit card. Or an even better idea – put the money back into savings or an emergency fund! You never know when you may need this. Know of any other expensive habits that we did not mention? Tell us below!